The Project: To create an informative “home” for fans of celebrity chef Aldo Zilli, which would host all his businesses, websites and everything he's doing under one brand. The Execution: A website whose brand style was inspired by fresh vibrant colours to provide a nod to his home town. The use of bright photography of people reflects the energy and passion of the Italian people from his own heritage, and his own busy career today. The website functionality needed to include a wide range of content, including images, videos, his stories and links to his books and classes. Flexibility was required to change content including offers and promotions regularly. 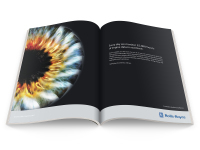 Aldo also wanted to generate revenue by offering advertising space for clients and others. This was then extended to Aldo Zilli’s mobile App which showcases what he’s doing and press coverage, sells masterclasses and engages his fans by sharing his cooking tips. 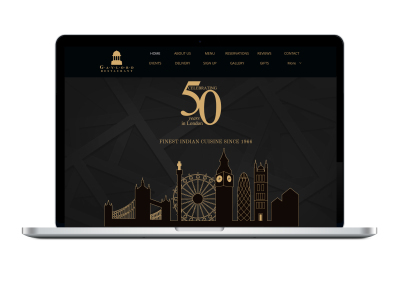 The Project: To create a new website to celebrate its 50th anniversary and appeal to a younger more modern audience. The Idea: Gaylord is well known as one of the best traditional Indian restaurants in London, so the design idea was about combining London, modernity and Indian heritage. The Execution: A modern mobile friendly website including links to menus, a photo journal taken from Instagram and iconic illustrations of the city that were given a contemporary Indian twist. To not lose sight of its long 50 year presence in the city, and to add a bit more fun factor, they decided to go back to their 1966 prices – selling their world famous Chicken Tikka Masala for just 30p / 6 shillings! The Project: To design and print marketing materials for Whizzfit, a family fitness start-up business focused on providing fun activities for everyone at family festival events, children’s parties and afterschool clubs. Whizzfit’s philosophy is to keep everyone healthy and active together, no matter what their sporting ability, so they promote activities that are inclusive such as dodgeball, nerf (and water slides for the summer). The Idea: Being active is fun and cool. 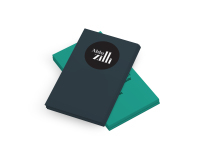 The Execution: Marketing brochures to promote events and classes, and banners to increase brand awareness. Using an energetic and colourful design style, that shows active fun that is appealing to young and older children. Although Whizzfit activities are appropriate from as young as 6 years, we recognised that children like the things their older siblings and friends like. Therefore we wanted to make sure the materials were aspiring and cool, that would appeal to young teenagers. 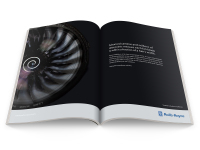 The Project: Advertising aimed at industry professionals and consumers to communicate the amazing facts about Rolls Royce as a leader in engineering technology. Their Trent engines have out-performed their competitors under incredible conditions making them the most reliable engines in the world. The Idea: To focus on confidence and the extraordinary – no gimmicks needed. The Project: An infographic to celebrate Heathrow’s 70th birthday. The Idea: People connect through story telling, so the idea was to create the Heathrow story and get people to connect with their own stories. 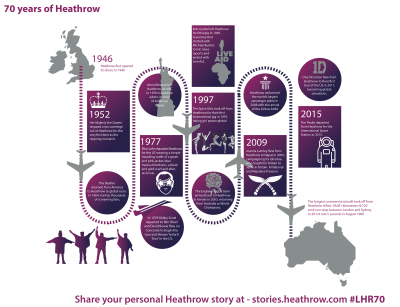 The Execution: An infographic in airport signpost styling showcasing the amazing events that have happened throughout Heathrow’s 70 year old story.